After Netflix & Saunkonoko highlighted the Smithman sighting, how likely is it that Martin Smith co-operated with the McCanns? How likely is it, that at some level, Martin Smith has been co-operating with the McCann Team? 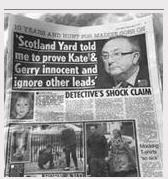 It is said that the BBC admitted they should not have said that Martin Smith had ‘withdrawn’ his statement (20 September 2007) when he said he was sure the man he saw was Gerry McCann. So let us proceed on the assumption that Martin Smith, from September 2007 onwards, has always, unwaveringly, since then, strongly believed that the man was Gerry McCann. Dec 2007 Brian Kennedy: “Will you help us solve the mystery of Madeleine’s disappearance? We want to find the abductor who took her”. Suggested reply from Smith: “No. You’re working the McCanns. Me and two other members of my family have already made statements and I am sure that the man carrying the little girl was Gerry McCann”. Suggested reply from Smith: “No. I’ve already told your boss Kennedy that I am sure that the man carrying the little girl was Gerry McCann. In any case, I only saw him for a second or two, in the dark, on a street with weak lighting”. May 2009: Martin Smith sees the Channel 4/Mentorn Media Mockumentary...which has two longish sections saying that Smithman is the same as Tannerman. Also in May 2009, Martin Smith listens to an audio of his sighting on the McCanns’ website. In his first police statement, he said the man he saw was ’35 to 40’. In his second police statement, he changed it to ‘40’. On the McCanns’ website, he now hears an Irish voice saying the man’s age was 34-35. Suggested reply from Smith: “What!!! The McCanns are making out on their website that I’m referring to an abductor! I’m not! The man I saw was Gerry McCann! I’m going to contact the Portuguese and Leicestershire Police about this. I’m not having this. And why on earth do they now say that I said the man was aged ‘34-35’. I’ve never said that. Where did they get that from? It’s not in either of my statements”. May 2011: Martin Smith reads Kate McCann’s book, which on seven pages claims that Smithman was probably Tannerman. Suggested reply from Smith: “What!!! Not again! Kate McCann is falsely using my statement. The man I saw carrying Madeleine was Gerry McCann. I will ask the police what can be done about this”. Suggested reply from Smith: “Not on your nelly! You know fine well that I told the Irish and Portuguese Police forces that I saw Gerry McCann carrying Madeleine that night. Don’t you believe me? No, I won’t help you”. Sometime in 2012, Martin Smith gets another call from DCI Redwood: “Mr Smith, we think the man you saw might be someone else. Can you please help us”. Suggested reply from Smith: “No! For the same reason I gave you last time. You are not to use my sighting in your programme because I’m sure the man I saw was Gerry McCann and I’ve not changed my mind. Now go away and leave me alone”. On 14 October 2013, at about 9.15pm, Martin Smith is watching the BBC Crimewatch McCann Special. He sees two efits of different looking-men, said to be ‘a new suspect’. Suggested reply from Smith: “I don’t believe it! After all I’ve told them, they refuse to believe me! I knew it was Gerry McCann. The way he walked. The way he carried Sean on his left shoulder, it was him all right. Now they’re looking for someone else. I’m going to complain to the BBC! And Operation Grange”. ACTUAL REPLY by Martin Smith: “No. I’ve never withdrawn my statement, I still maintain I saw Gerry McCann”. Re: After Netflix & Saunkonoko highlighted the Smithman sighting, how likely is it that Martin Smith co-operated with the McCanns? Sorry bit this topic is mis titled !!!!! Netflix most certainly has NOT "highlighted" the Smith sighting. No one in his or her right mind could think so. Mark Saunokonoko (to date) has mentioned it happened and pondered the possibility that Martin Smith was subconsciously influenced into thinking it was Gerry after the McCanns were declared arguido. "SUGGESTED REPLY" from Martin Smith!!!!!!!!!! Our imaginations (no matter how vivid) and hunches (no matter how dearly held) can never compete with FACTS and EVIDENCE. I stopped reading after suggested reply as it's a figment of TB's imagination. @Phoebe wrote: Our imaginations (no matter how vivid) and hunches (no matter how dearly held) can never compete with FACTS and EVIDENCE. Pay heed to your own words Phoebe - in short, practice what you preach . Oh I always do Verdi, hence I try to avoid "witnessing" imaginary conversations between third parties and drawing conclusions from these imaginings. 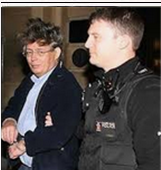 4 He DIDN'T raise any objection that we know about, certainly in public, to the BBC and the Metropolitan Police spending £2 million to beam a programme to 7 million people claiming that his sighting was of AN ABDUCTOR, NOT Gerry McCann (despite having twice met DCI And Redwood, Head of Operation Grange, or one of his colleagues). 58 have so far voted in the poll, which is yielding interesting results. @ Tony Bennett Lordy! back to the Smith sighting AGAIN. On a point of information we know publicly, through "Village Mag" that Martin Smith protested to the BBC over their claim that he had changed his mind about seeing Gerry. That's a fact! Drawing up e -fits which look like Gerry (whom he still claims he believes he saw) is NOT working for the McCanns. Still no response to my question of why the McCanns, if the Smiths are "working for them", have not asked them to publicly and unequivocally state that they have changed their minds about the man they saw being Gerry. Hi Phoebe,Mr Bennett,Smith family sighting, working for Mr Brian Kennedy,McCann's, e-fits etc? Why hasn't anyone investigated if the McCann's had worked with Mr Robert Murat,Brian Kennedy,Brunt, Sky News Corporation, "Did you know Robert Murat before Madeleine disappeared" 3 May 2007? Robert Murat met Gerry McCann for the first time on May 4, 2007,Russell O' Brian,Stephen Carpenter, whilst searching for Madeleine at the Rear of Casa Lilyanna? Robert Murat left UK 30th April 2007 for Portugal arrived 1st May 2007, Three days doing what! 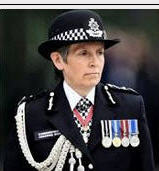 Brunt has close connections to "All Major players", is he part of the Cover Up,Mitchell,MaGuiness,Murdoch, Sun, NoTW,Gamble, Metropolitan Police, DCI Andy Redwood,Dossier that led to Death of Mrs Brenda Leyland, houded by Sky News Corporation, Sir Bernard Hogan Howe! Brunty Now working close to Colin Sutton, Operation Grange, remember Brunt 100% DNA, Philomena,Kate being framed, now very close to McCann family? 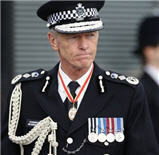 Echoes of unsolved Murder of Daniel Morgan, close ties to who, Rupert,Cameron,Rebekah,Couldson, UK Police Officers! @Phoebe wrote: @ Tony Bennett Lordy! back to the Smith sighting AGAIN. On a point of information we know publicly, through "Village Mag" that Martin Smith protested to the BBC over their claim that he had changed his mind about seeing Gerry. That's a fact! REPLY: We don't actually know exactly what Martin Smith said to the BBC, except what was reported by Gemma O'Doherty. I understood he simply said that he had never withdrawn his identification of Gerry McCann. Did he say more than that? Did he explain why he had co-operated with the McCanns and their investigators Brian Kennedy and Henri Exton? Did Gemma O'Doherty even ask him about this obvious contradiction between his positive I.D. 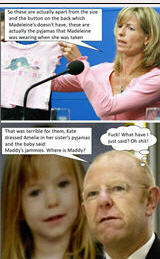 of Gerry McCann and his subsequent actions of working for the McCann Team? Why doesn't Smith make a formal statement to the press clarifying exactly where he stands on all of this? Because he can't? Drawing up e fits which look like Gerry (whom he still claims he believes he saw) is NOT working for the McCanns. REPLY: Let me summarise your claim: "Working for a man employed by and paid by the McCanns (Henri Exton) is not working for the McCanns". I think I understand. Martin Smith told Gemma O Doherty during the course of an face to face interview that he had NEVER CHANGED HIS MIND about the man he saw being Gerry and had never suggested that he had.We can see ourselves that his actual statement has not been amended or withdrawn. If the Smiths were "working for" the MCanns why are they still claiming that the man they saw that night carrying off a (child who looked just like Madeleine) was her father, Gerry McCann! You waft over the Smith sighting and battle home your belief it is genuine as does HKP. You wax lyrical on other threads with nothing other than a feeling, a belief and what I consider to be convenient and wild imagination. Yet by the same token you target specific members of this forum to demand answers, evidence and proof. I don't appreciate the cut of your jib. Take a long hard read at all the information on this forum. You are entitled to your views Aquila, as am I and all other members. You've said several times you don't like my posts. That is your prerogative. As for "wafting over the Smith sighting" I think you'll find I don't tend to RAISE or resurrect it . I merely RESPOND when I see posts lacking in, or contradicting available evidence or based on opinion BUT PRESENTED AS FACT. Unfortunately, the Smith sighting gets more airtime here than Grange , Netflix , or the McCanns have ever given it. @Phoebe wrote: You are entitled to your views Aquila, as am I and all other members. You've said several times you don't like my posts. That is your prerogative. As for "wafting over the Smith sighting" I think you'll find I don't tend to RAISE or resurrect it . I merely RESPOND when I see posts lacking in, or contradicting available evidence or based on opinion BUT PRESENTED AS FACT. Unfortunately, the Smith sighting gets more airtime here than Grange , Netflix , or the McCanns have ever given it. I have never said I don't like your posts. I have said that I disagree with most things you write. "I don't appreciate the cut of your jib"
Given that you have never seen my face and can know nothing about me as a person in general, I assume it is my posts rather than my imagined visage which you don't like. A reasonable assumption surely. Edited to add we seem to have crossed posts. I seem to recall you previously being being critical of my writing style -- unless of course you are an ardent devotee of "chick lit". You see Phoebe, for me it's not about semantics and who can outdo someone in a pointless argument. It is as plain as the nose on my face that you like to deal in semantics and you do it often. I apologize for this interruption to the forum. Please keep on topic and don't drift on to personal matters...again! @Phoebe wrote: Martin Smith told Gemma O Doherty during the course of an face to face interview that he had NEVER CHANGED HIS MIND about the man he saw being Gerry and had never suggested that he had. We can see ourselves that his actual statement has not been amended or withdrawn. This evidence from Gemma O'Doherty is what is called 'hearsay' evidence. i.e. " I heard him say..."
It is evidence that almost invariably is thrown out of court as 'inadmissible'. I am not prepared to accept as wholly true the very short summary of what Martin Smith is alleged to have told Gemma O'Doherty, particularly as there have been many in Ireland who have questioned O'Doherty's modus operandi and statements in other Irish cases. I think that you have (very fairly if I may say so) conceded that Martin Smith's evidence claiming to have 'recognised' Gerry McCann, based on the way he was walking and carrying Sean, is utterly, utterly worthless in court. So there is now no reason why the man can't now clarify, in public, how certain he now is that the man he (says he) saw that night is Gerry McCann. Is he still 60% to 80% 'certain' it was Gerry? Or less than 60%? Or more than 80%? Or 75%? Or 68.3%? Why can he not clear everything up by stating when he did those efits, why they are different, who else in his family helped him, what date it was that Henri Exton visited him, and so on? Why can he not say why he first of all said the man (that he said) he saw was '35-40', then changed it to '40' when he made his second statement, and later agreed to the McCanns saying, on their website, that the stranger's age was '34-35'? Maybe he could also explain why, after seeing a man in the dark, with weak street lighting, for no more than 2-3 seconds, and claiming he would never be able to recognise him again, he was sure he was '34-35'? Not 33. Not even 36. Has anyone in world history ever given such a precise statement about a man he saw in the dark for 2-3 seconds? Or if the McCanns just put '34-35' in his audio message [voiced by someone else], without his permission, why does he not tell us. What does he have to fear? Why did he say nothing at all when the McCanns shamelessly used his sighting for years to suggest that the man he (said he) saw was the very same as the man Jane Tanner saw? What stops him from making an on-the-record statement about all of this? Why does he not clear up what is obviously a great mystery? Has he been working for the British security services? After all, Henri Exton was the former Head of MI5's Covert Intelligence Unit. .Martin Smith "went on the record" as you put it. He was interviewed by Gemma O Doherty fully understanding that what he told her would be published in "Village" and you STILL aren't happy. It appears that you are determined to cling to your beliefs. Given the vilification the Smiths have suffered I'm surprised they will talk to anyone. In their shoes I wouldn't! the Smiths to clarify that the man they saw was not Gerry. It's a very simple straight forward question. doubting the Smith sighting over and over endlessly. "After Netflix & Saunokonoko highlighted the Smith sighting...."
contains misinformation. As a percentage of the eight hours Netflix devoted a mere few minutes to the Smith sighting. It filled up the hours by giving us a potted history of tourism and economics in the Algarve. As for the Mark S. podcasts, out of FIVE episodes thus far he has mentioned he Smith sighting BRIEFLY in one. 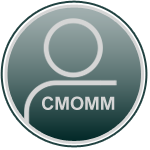 It seems to me that the majority of forum members who have voted so far believe that the Smiths are genuine . This does not mean that they do not respect Tony or his research. It just means that they do not agree with his premise on this. I think the forum has a long history of dialogue and debate for which it is rightly proud. An enormous amount of work has been done by some members but on the whole I think the feeling has always been that anyone can contribute by sounding out ideas with one another. This is one of the ways we have got as far as we have . I don't think it is helpful be dismissive or rude to people because they are fairly new- people may visit for a long time without feeling they have anything to contribute. I don't think it is positive to attack people for asking questions or belittle them. Do we really want a forum where if you don't agree you are accused of being a WUM? The 'disadvantage' of these Polls is that guests can vote. The advantage of having a statcounter on the forum is that I can see when people are sabotaging the Polls - for instance, I can see that you've voted nine times today. So, I wonder how accurate the Poll really is and why people feel the need to sabotage it? eta: I've just counted the other days you've voted on this Poll and it comes to 24. What's there to explain, many polls on the internet are based around the same principles, they allow you to vote more than once because they utilise IPs that's why the results are not particularly valid. There will be more than myself who could/have voted more than once by using home, work and mobile devices. It's the same device that's the giveaway, I've voted numerous times on all sorts on the internet if the mechanisms are there then it can be bi-passed. You'll probably find that there's folks on here that have more than one account and sometimes they're answering/speaking to themselves. Sometimes is about the winning and not just taking part, that's clearly evident here also. @HKPPoor show. This is not a game. @Ladyinred wrote: @HKPPoor show. This is not a game. I'm not denying it but all these polls are meaningless. There's around 9500 members and the polls open to everyone including guests, are usually lucky to get 100 or 200 responses. Statistically it's not enough to make any judgements. Well, I've now changed the settings so that guests can no longer vote and members will only be able to vote once.